You Should Have Some. You’ll Be A Better Beekeeper When You Do. It is an unpalatable fact: Beekeeping is a knowledge-intensive activity. You can no more become a good beekeeper by inspecting a few colonies every ten days than you can learn a language by taking a class every ten days, or get into shape by going to the gym every 10 days. And until you have learned enough to enable your colonies to flourish, under your inexpert care they will continue to die. It is not necessary, though, to kill your colonies while you learn from them. There is a better way, a simpler way, to vastly increase your facetime with honey bees and your knowledge of them. By installing a glass observation beehive in your home you can see what your bees are doing all day, every day, every season, all year round. You can see what, and how, and when they do each of the myriad activities that honey bees engage in. And by taking this step you will position yourself to learn a lot about bees; you will become a better beekeeper – almost automatically. As beekeeper Michael Bush puts it “Every beekeeper should have an observation hive. Not only for what you will learn about bees, but for what you can tell, day to day, about what is happening in your other hives”. You might think that installing an observation hive in your house (or in your office, or garage, or on your deck) is a lot of work. But it doesn’t have to be. And hive inspections could not be easier, the hive is transparent! When the hive does need work, you close it up and take it outside. So, as long as you ensure that it is easy to close and easy to move, you are all set. I suggest you purchase your first observation hive from one of the vendors listed below. Later, you may want to design and build your own hive. There are many sizes and qualities to choose from on the market. I strongly suggest you select an observation hive that uses the same frames as the ones you use in your other hives, to make exchanging them easy. Also, I suggest that you select an observation hive that is only one frame wide. If the hive is two frames wide, the activities you most want to see will take place between the frames, hidden from you. Remember, the purpose of this hive is your education, not honey production, so making the bees’ activities as visible as possible should be a goal in selecting your observation hive. For the same reason, the bee space between the comb and the glass should not be excessive as you cannot see events in the comb beneath two or three layers of bees. This problem can be mitigated somewhat by controlling the number of bees in the hive. As you review the selection of observation hives, think about where you will install it. Consider the needs of those with whom you share your living/working space. Choose a location where you can easily see the hive and supply the hive with a strong light. I have had my observation hive in my guest bedroom, in my office, on my deck, and – when I lived by myself, in my dining room. If you put the hive out of doors, it should always be in the shade and the nighttime temperatures should drop below 65F only briefly. Some visitors have compared my observation hive to a fish tank, and in the sense that the fish and bees’ activities are easily viewable, that is true. A major difference, though, is that bees are foragers and the fish are not. You don’t need to connect your fish tank to a lake, but you do have to connect your observation hive to the outdoors. The easiest way to do this is to put a board in a window, put a hole in the board, and put a tube from the hive to the hole. For a tube, I use a 1” diameter clear plastic pipe from a hardware store. The pipe is easily straightened (or bent, if needed) by putting it in hot water briefly. For a board I use a 2”x4”, cut to fit snugly into the window and painted to match the window frame. I use a hole drill (also from the hardware store) to cut the hole for the pipe. Finally, since the window no longer closes or seals completely, pick up some insulation to seal any gaps. Another item you need to think about when setting up your hive is the hive stand. The ones from your bee yard will not do! I use a bookshelf from Ikea, the one that’s 42 inches high is just right for me. They come in all sizes. When my hive was in the guest bedroom I used a bureau, on the deck I used a table. The key point is to set things up for comfortable viewing. One good thing about using a bookshelf as a hive stand is that you can put all your beekeeping books and magazines there and refer to them as you look at the bees. There’s a lot going on and you’ll want to understand what it is that you are seeing. To supplement your observations, several books describing honey bee biology are a must. Stock the hive with a frame of nurse bees and eggs from one of your standard hives. Watch them raise a queen. Watch the queen depart on mating flights. Watch her begin to lay. Watch the population change over time. Watch them swarm – if you live where swarms are not a nuisance. Otherwise, watch carefully, and split the colony before it swarms; adding frames of brood to your other hives, or restarting the observation hive with a frame of eggs and nurse bees again. Feed them as necessary. One of the best things about having an observation hives is the opportunity to bring additional senses into play. Not only can you see the bees, but you can also hear them. The sound they make changes all the time, and every time it does, I glance up to see what’s going on. Besides that, you can smell them, you can smell the nectar they bring in, the clean fresh odors of a healthy colony, and the less pleasant odors of an unhealthy one. Finally, you can feel the temperatures in various parts of the hive, the warm brood nest, the cooler honey super, and the temperature of the breeze coming through the entrance. Earlier I mentioned that as long as you ensure that your observation hive is easy to close and easy to move, you are all set. To work your hive, close it up and take it outside. Once outside, open it up and set the frames into a nuc box. Clean up the observation hive and do whatever you need to do with the bees. Then, quickly set the frames (and bees) back into the observation hive, close it up, take it inside, and reconnect the tube. Occasionally you will have to clean the glass because the bees cover it with propolis and add bits of comb to it. Suggestions for removing propolis include alcohol, WD-40, oven cleaner, Krud Cutter, and others. Be sure the glass is free of any trace of these before putting the bees back into the hive. You will have the opportunity to see the effects of Varroa mites, wax moths, small hive beetles, and other parasites, pests, and predators, as well as the effects of the treatments you apply. Plan ahead; will the methods you use on your other hives be acceptable in your house? If not, come up with suitable alternatives. For more information, a web page focused on observation hives for beekeepers is: http://thebeepeeker.com. That’s bee peeker, get it? If you enjoy woodworking, there’s: Observation Hives: Design and Construction, by William Middendorf. Observation hives are valuable educational tools for two very different audiences, beekeepers and the public. Two kinds of observation hive are used for public education, temporary portable hives, and permanently fixed hives. Beekeepers take temporary portable observation hives to farmers markets, street fairs, school visits, and the like. These are typically single-frame hives, with or without the queen. The bees and comb in these hives are often pulled from a production hive and returned to it on the same day. These hives are used to “show and tell” about honey bees, beekeeping, pollinators, environmental issues, etc., and to attract attention to the table or booth where the hive is located. 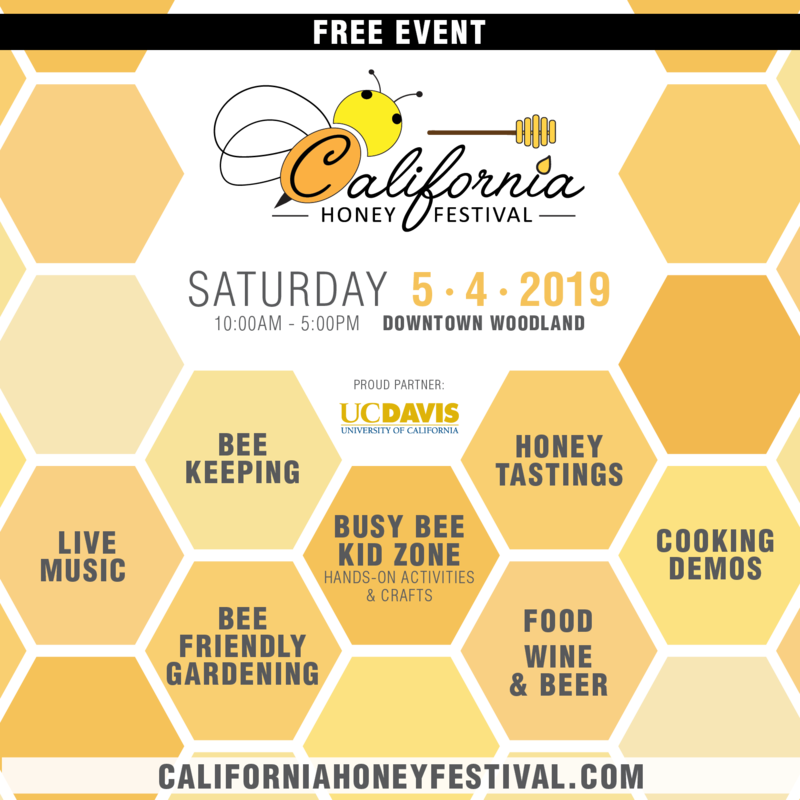 Several temporary portable observation hives are available from beekeeping suppliers’ catalogs for use in public outreach, along with a variety of informative materials. You may also be able to borrow a portable observation hive and other outreach materials from your local beekeeper’s association. Contact your association’s Outreach Coordinator. An exhibit designer/builder. 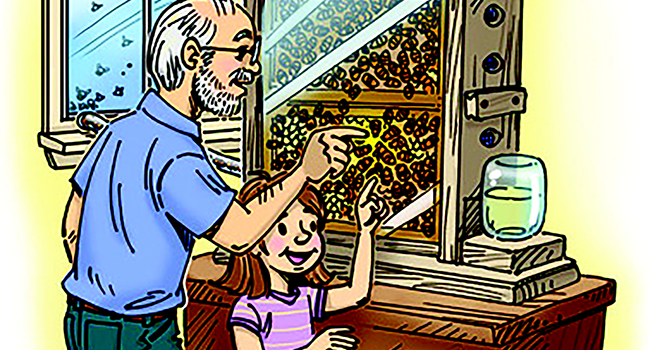 Many themed exhibits can be constructed around an observation hive. Some full-sized hives such as Flow Hives, Slovenian AZ hives, and top bar hives come with windows in their ends or sides. These viewing ports make it possible to see a bit of what’s going on inside the hive and the advantage of a full-size hive is that the bees in it are a full-size colony. One issue is the need to travel to the apiary to observe the bees’ behaviors, but the more significant issue is that with a window in a full-size hive, you get to see only the ends of the comb or the comb at the side of the hive. These viewing ports are better for a status check than they are for viewing bee or colony behaviors. Frank Linton, Ed.D, is an EAS-certified Master Beekeeper. He is the author of The Observation Hive Handbook. Version 2 is now available from the Cornell University Press. Frank hosts the websites http://thebeepeeker.com, a guide to observation hives and http://colonymonitoring.com a guide to colony monitoring technology.